“Dancing Together” ft. Tiffany Roth of Midnight Magic MP3 Now Available! PUNCHES was born during a cab ride one cold, Brooklyn December night, with thoughts of warm weather and the perfect summer soundtrack. The band will unleash their special brand of disco infused soul in their new It Can Only Get Better EP out March 27 on Our Label International. Made up of vocalist, composer, and producer Alan Astor and twin Finger On The Pulse DJs Greg & Darin Bresnitz, PUNCHES delivers danceable tunes that fuse disco-era pop with infectious house beats, all topped with Astor’s smooth vocals. It Can Only Get Better treats fans to two new PUNCHES originals, including “Can I Live?,” a bright, energetic track punctuated with bursts of bold horns atop a strong, pulsating beat. The EP also features a club-worthy remix of the track, which incorporates dancey house beats complete with plenty of bass. “Dancing Together” features guest vocals from Midnight Magic’s Tiffany Roth backed by a strong, wandering bass line, bouncy keyboards and hand claps. Check out the catchy pop tune HERE, and feel free to post and share. Completing the four-track EP is the trio’s own version of the classic hit “Shout,” with recognizable lyrics, but an entirely new sound that is distinctly PUNCHES. Stay tuned for more exciting news and tour dates from PUNCHES coming soon! I always have a hard time trying to describe groups like Grimes. For me, Visions lies somewhere between A Sunny Day in Glasgow and Apex Twin, or maybe it’s more along the lines of Fever Ray and Berlin (the 80’s band, not the country). Either way, it’s obvious that Claire Boucher, aka Grimes, has crafted her own unique sound, which at 23 is an accomplishment that far supersedes any accolades I could give this album. 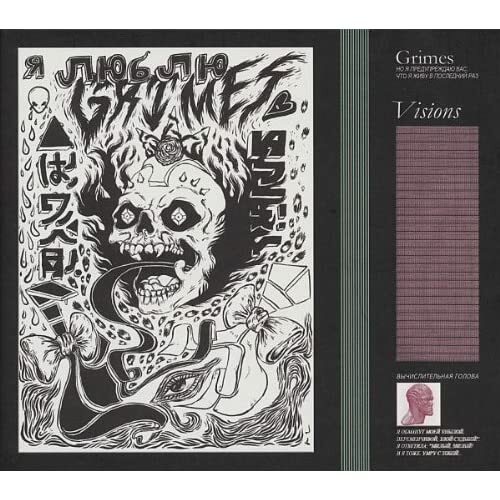 Hailing from Montreal, Visions is Grimes’ third and most acclaimed album. There’s a certain “pop” feeling that’s stronger and more realized here than on her previous releases. Perhaps it’s the amalgamation of the various beats and sounds, or the amazing vocal range in which Boucher displays, which bring to mind the glitter-pop age of the 80’s. Songs like “Circumambient” and “Nightmusic” sound as if they came straight of a John Hughes movie, yet they, as well as every other song, sound perplexingly fresh. Boucher has said that she approaches music the same way Phil Spector does; constantly creating and emulating different styles and making them her own. Boucher’s voice is the best weapon in her arsenal, and though most of her lyrics are pretty unintelligible, her climbing and sliding vocals are understood more universally than written words. That being said, my favorite song on the album is undoubtedly “Skin”, not because of what she’s saying, but how I interpret what she’s saying. For me, the song’s about change, moving from one comfort to the next. It’s one of the most genuine songs on the album. Visions is a record that is the product of the streaming age. There are so many different juxtaposed genres and styles in every song that it could only come from someone who has grown up being privy to a wide array of music. Boucher’s diverse appreciation of music, both past and present, is the centrifugal force on Visions, and perhaps the reason why the album has gained notoriety. Our short lived existence moves through the varied experience created by environment, its residents and the interaction occurring at every turn. 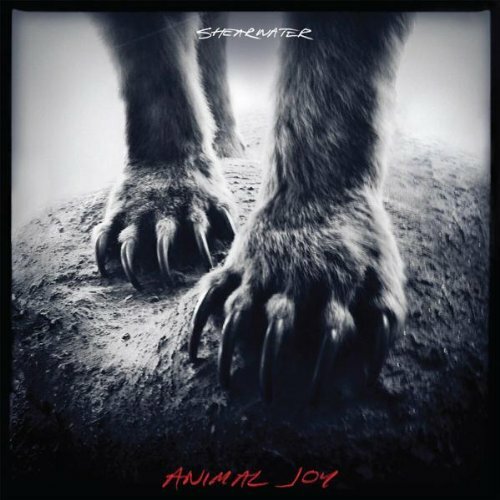 Animal Joy marks Shearwater’s eighth album, forging through the wilderness of the modern indie scene. Spanning the gambit of sensation and the reality life creates, this tale of our animal life crashes passed the everyday toward the larger truths hovering just over the horizon, just beyond our reach. Dialing down the intensity into introspective musings through the core of the album, the ambience crafted by Shearwater’s musicians moves across the breadth of emotion left behind by life’s experience. “And the world goes racing, suddenly changing as the shock of the exit leaves you trembling.” The span of memory echoes through “You As You Were”, looking back on the precious moments quickly fleeting as we’re pushed apart from the ones we care so much about. The scars of our past leave us spinning, searching for direction in the confusion. Recognizing the wasted moments that make up a life remains a theme throughout the charted course. Grabbing hold of the opportunities presented and making the most of them instead of deciding “to run from the days we are living in.” Moving through the range of feeling, “Immaculate” rises almost to anger as Shearwater demands “get a hold of your life” before falling back into softer reflections. Animal characterization of human traits and angers drifts down the river of sound, allusions to the creatures we share this rotating sphere with splashing through the shallows. “You could spend your life fighting the river, or you could look me right in the eyes.” The struggle each has to contend with those around them and within themselves leering through the orchestration. “Pushing The River” reflects the decisions everyone has to make concerning existence within a decaying society. Rising above the wastedland created by mortal selfishness and excess below “Star Of The Age” soars “among the islands of our minds.” Shearwater’s collection of the feelings of despair and bewilderment pervading the existence of the common people comes to a close on a hopeful note. It is the story of worry about the world that’s been wrought by the actions of short sighted paper collectors and their minions exploiting the beauty we’ve been gifted with. Ours is a world at the tipping point. Animal Joy is an expression of what many are attempting to cope with and correct as a brave new world soldiers on. 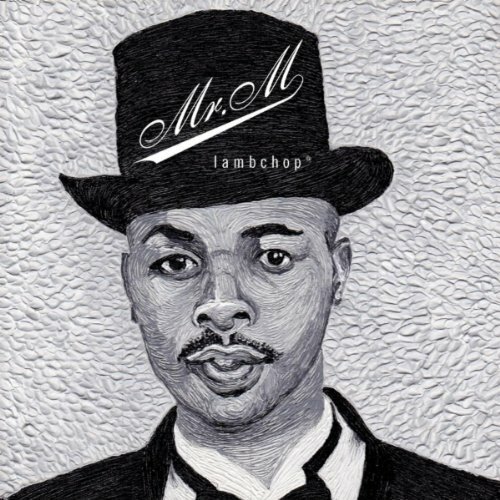 Here comes Mr. M, the man you once knew in your past or the man you used to be depending on what mood you’re in when you hear Lambchop’s new release. A painter turned singer songwriter, Kurt Wagner has written his latest album as if it were his last. Pairing up with Mark Nevers, a Nashville producer yearning for the sounds of a “psycadellic Sinatra,” the two created something very smooth. After the loss of a dear friend Kurt returned to the silence and solitude of painting which led to the creation of the debutante themed album art. From that process Kurt regained the strength to communicate with the public again and this tragic moment in life becomes one long song. Sonically we travel from the peaceful coasts of Hawaii to a hole in the wall Harlem jazz club and from a French café overlooking the Louvre to a wet basement full of sentiments. Through the atmosphere alone of each and every song, conveyed with ominous strings, loungey drum fills and bossanova guitar stylings we know exactly where Kurt is and we’re right there with him in the drudges. Timeless and filmic in nature, this self-proclaimed “indirect communicator,” very clearly gets across the message of finding your way again when life gets you down. With stream of conscious style lyrics and a Tom Waits approach to singing, Lambchop seems to have mastered the art of letting a song breathe the way a painter must let a layer dry before assessing what else is to be done, if anything at all. Much like a good background actor can add more to the scene with subtlety than the ego in the limelight, Mr. M seems to lend itself to something more with humility and grace. “Never My Love” is my favorite on the album, coming across as the most cohesive of the songs with “My Blue Wave” coming in second. No clear single jumped out at me, but whether that’s a good or bad omen will be revealed in time. 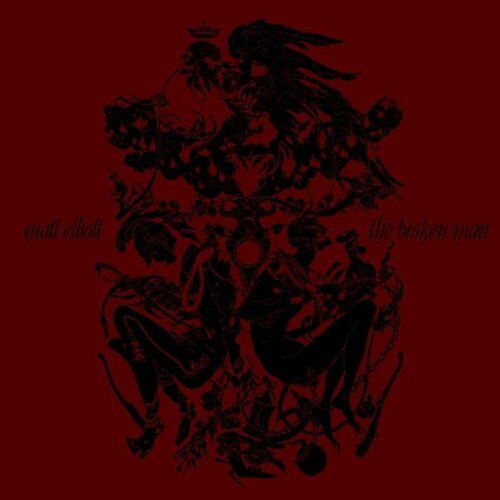 It will take over three minutes of listening to classical guitar work on The Broken Man’s opening track, Oh How We Fell before Elliot’s rich, growly voice starts singing. Or rather, talk-singing. It’s like listening to the lamentations of a friend: intimate, somber, thoughtful. Truly, the verse “I am lost in this mournful refrain” describes the despairing tone of the album. Actually, the lovely flamenco-infused stringwork drifts through most of the songs and while not lightening the tone, it adds a welcome undercurrent. Elliott’s acoustical work is deliberate and exacting, each note singular and well-formed. If a listener had any thoughts that succeeding tracks would reveal a bit of hope, a hand offered in friendship to relieve the artist’s oppressive melancholy, the song titles alone would brush that aside. As a writer of different genres myself, I completely identify with the downward emotional trajectory and wistfulness for something that will never be again that is the centerpiece theme. The musical arrangements convey this independent of Elliott’s smoky baritone and choked refrains, but when you are in pain, another gut-punch always seems appropriate. I am not familiar with the artist’s previous body of work, but musical anguish such as this is not a one-time thing. Woven throughout the tracks, over and between the unsettled bells and mournful guitar, are lovely strains of melody, although the pace of most of them is deliberate rather than peppy. There is a definite place for this type of work, among the absolute drivel that is current pop and the sameness of many of the “alternative” musicians. It’s not depressing as it is meditative and an intentional reflection of the common state of more people than not. It would definitely be something one could relate to if there was personal tragedy afoot , but if drama is lacking in your life, a tour through Elliot’s somberscape should stir something up. Dustin Wong’s new release, Dreams Say, View, Create, Shadow Leads, on Thrill Jockey Records, is an intricate, layered musical tapestry. Weaving rhythms and guitar paint incredibly vivid daydreams. The virtuosity on this album is unparalleled. Wong is like a chemist in a lab, mixing sounds as ingredients until he captures what he is trying to convey. This album closely conveys Wong’s live music performances. “Mostly recorded live, a few overdubs moving around in the stereo-field,” says Wong. Much of “Triangle Train Stop” evokes memories of Tangerine Dream circa Risky Business. But it is, at the same time, wholly original. While firmly rooted in modern technology, there is no sense that the genius of Wong’s guitar playing gets lost in the shuffle. The presentation of songs is different from his previous solo work. Infinite Love was presented as a whole, and in Dreams Say Wong titled each song or idea. While the titles seem abstract at first glance, if you think of the song title while listening to the track, it’s as if you can see the thoughts that must have been swirling around Wong’s mind. The music drifts in a stream-of-consciousness way, much as Jack Kerouac wrote On the Road. Wong’s imagination leads the listener through his creative process, and how you react is entirely up to your interpretation and life experiences. That is the beauty of Wong’s sheeted layering. Every time you listen, you hear more, you hear differently. Wong will be touring extensively in support of Dreams Say, View, Create, Shadow Leads. 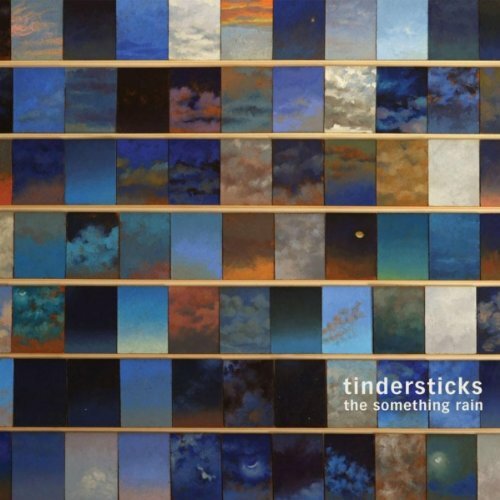 The Tindersticks return to the studio to solidly reinforce their mark in the music industry. On Feb. 20th, the band placed their ninth album titled The Something Rain onto shelves, outshining Falling Down a Mountain. After a fallout in 2003, Stuart Staples, lead vocalist, took a stab at a solo career only to find themselves reunited in 2006. With the success of their following albums they found the direction and encouragement that drove them to where they currently stand. Staples slowly introduces us to the album with their first song called “Chocolate”, softly describing what seems like the childhood memories of a young man, the house he lived in and a night with a particular woman. The story he tells ultimately lulls us into a dream sequence, with intense descriptions that paint an unfamiliar picture in our minds. “Show Me Everything” and “Medicine” prove the album’s uncanny song structure. While “Medicine” and “Slippin’ Shoes” both start off sounding like awkward 80’s teen parties, Staples vocals creep into and merge with the music adding a cool jazzy feel and ultimately makes it the respectably tasteful song we all know and love. The zest of the album is hard to experience at first, however the band slowly prove themselves as the songs gradually build. The tracks – more particularly “Frozen” – each have their own set of complex melodious layers that ultimately result in fresh, free and dreamy auras of sounds. The Tindersticks showcased an impressive job adding soul to their smooth sound. It is safe to say The Tindersticks created their own original path with bizarre intricate sounds with indie elements. The band has been and will continue to tour all over Europe showcasing their music until May, but unfortunately will not be crossing over to North America.